Want the potential to enhance your GIC returns by benefitting from the return potential of equity investments. Want to invest for two years or longer. Want the potential to earn a higher, variable return instead of the guaranteed, fixed return of a traditional GIC. Invest for growth or income. Select with or without a minimum guaranteed rate. Issued by The Bank of Nova Scotia, Montreal Trust Company of Canada and National Trust Company. What is an Equity Powered GIC (EPGIC)? Learn how EPGICs offer the principal protection of a GIC with the potential to earn more. How do Equity Powered GICs compare with other investments? GIC special rates apply only to non-redeemable GICs with the associated terms shown above and are not applicable to other GICs. Interest on early redemptions will be calculated on a daily basis at an early redemption interest rate which is provided in the table above for your reference. If the GIC principal amount is less than $5,000, then the minimum withdrawal amount is $500 and the remaining balance must be at least $500. If the GIC principal amount is $5,000 or greater, then the minimum withdrawal amount is $1,000 and the remaining balance must be at least $5,000. Note that there may be an adjustment to interest already paid for early redemptions. This is the maximum potential cumulative interest rate over the entire term of the Canadian Growth Equity Powered GIC. At maturity, the interest rate to be earned is calculated and paid within certain predetermined ranges based on the price performance of the underlying basket of shares of Canadian companies. There is no minimum interest rate guarantee and actual interest rate could be as low as 0% over the 2-year term and 3-year term. Minimum investment is $500.These maximum potential interest rates are available from 13 March 2019 – 09 April 2019 and are subject for change. For full details, speak to a Scotiabank advisor or visit www.scotiabank.com/equitypowered. Scotiabank Equity Powered GICs are CDIC eligible. For Scotiabank Equity Powered GICs - Canadian Income, this is the maximum potential return in any given year of your term available from the basket of underlying shares, if any. The actual return may be lower and it is not guaranteed. No return in excess of the Minimum Annual Guaranteed Interest Rate will be paid if the average of the share returns of the shares is the basket of shares is lower than the Minimum Annual Guaranteed Interest Rate. You will receive an annual payment which will be calculated using the maximum of The Minimum Annual Guaranteed Interest Rate and The annual average of the Share Returns of the Basket. 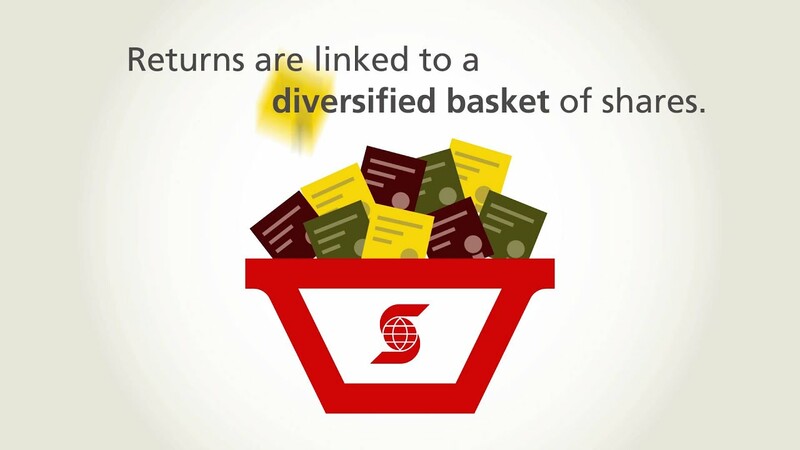 For all other Scotiabank Equity Powered GICs, Maximum Return is the maximum return related to the basket of underlying shares and does not include the annual minimum guaranteed rate. For Scotiabank Equity Powered GIC - Canadian Guaranteed Return, Scotiabank Equity Powered GIC - Canadian Growth and Scotiabank Equity Powered GIC- American Gr&owth, the maximum return is not a rate of return or an annual rate. For more information on Scotiabank Equity Powered GICs, the underlying basket of shares, return calculations and payments, please see the Scotiabank Equity Powered GIC Fact Sheet.